Welcome to this new little series, where I’d like to introduce you to some inspiring travel bloggers from all around the world! In the first feature, you can step into Laura’s world, Girl x Departure! Laura is a Berliner student and travel blogger, with Polish & Serbian roots, currently studying abroad in beautiful Istanbul. I’ve really enjoyed my own interview with Vous.hu (only available in Hungarian at this time) and sharing some of my personal travel highlights and as this theme resonates very well with my “philosophy” regarding the importance of the little stories (behind the big bold statements like ‘to travel is to live’ etc. ), so I thought I’d ask similar questions from Laura as well. Here are some of her answers! Most surprising thing I’ve learned while travelling: I think that travel has taught me that it’s fine if not everything goes according to plan. I’m a perfectionist, so I had to learn that I can’t control everything and shouldn’t stress over things taking a different turn, and just remember that it’s all part of the journey. Biggest personal challenge: I am afraid of heights! 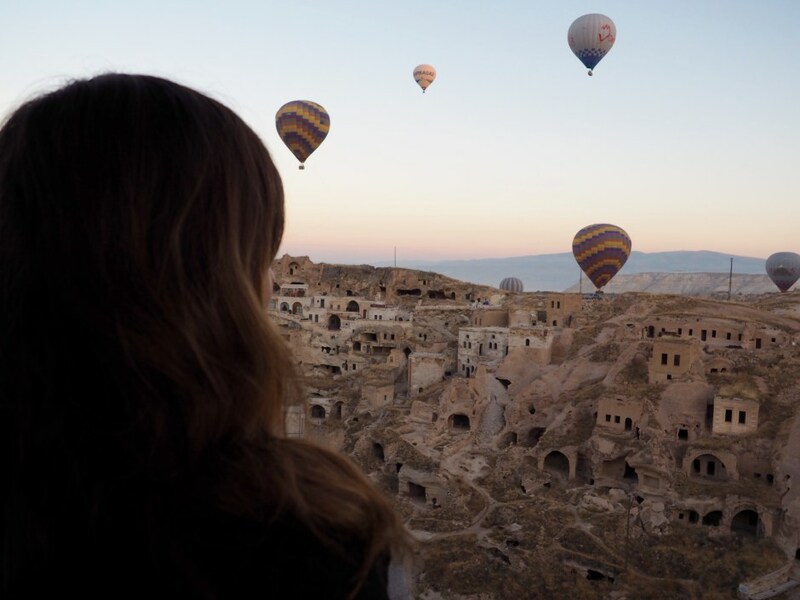 So hot air ballooning in Cappadocia was definitely a challenge for me. Flying in a hot air balloon was different than what I expected: it was actually very calm and smooth and I wasn’t scared at all! Weirdest food: I have tried all kinds of street food in Thailand, so there have been some bad choices as well. Unfortunately, I don’t remember the names anymore. Best travel buddy: That would have to be my boyfriend. We have traveled together to Europe, Asia and Africa and we are planning on expanding that list. I can’t wait! Coolest activity: I actually have to name three activities: hot air ballooning over Cappadocia during sunrise was as magical as it sounds. Swimming with dolphins in the Red Sea was surreal and unforgettable and bathing a little elephant in Thailand was amazing as well. 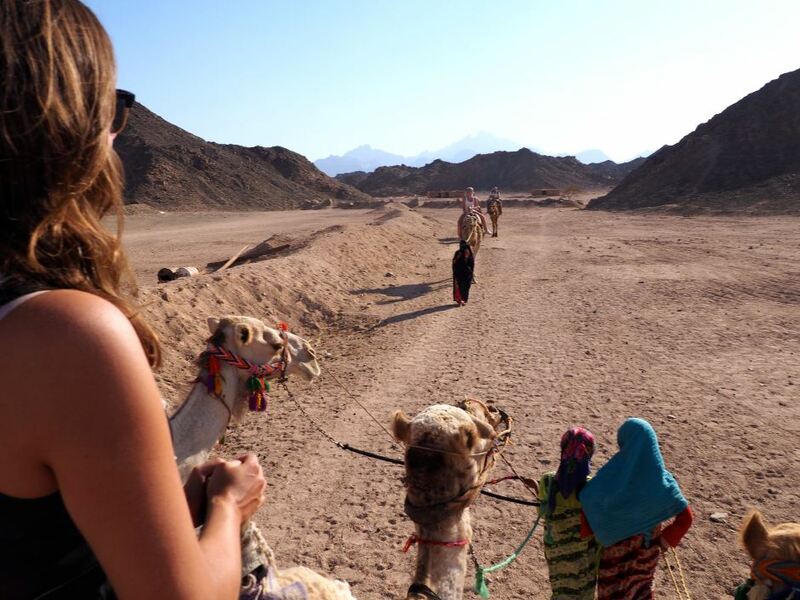 Most extreme wheather conditions: The heat in the Egyptian desert was pretty extreme! Kindest gesture: Thai people are the kindest that I have met on my travels! We asked for directions and instead of pointing us the right way, the guy just drove us to our destination. When we offered him some payment, he refused to accept any money for the ride. Most beautiful landscape: This is such a though one! I really can’t pick just one and would choose Cappadocia and Pamukkale in Turkey and the islands of Thailand. 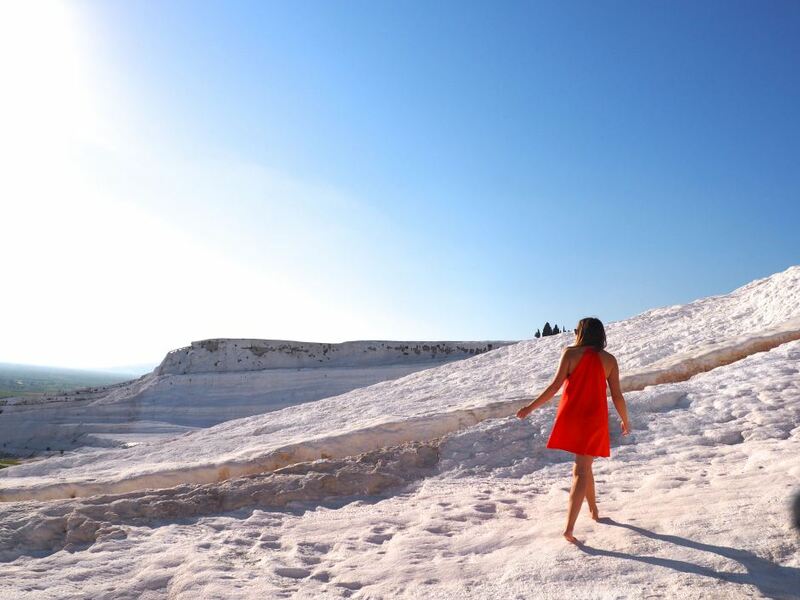 Cappadocia and Pamukkale are both unique landscapes that can’t be compared to anything else in the world. Thailand is just breathtaking and I would go back anytime. 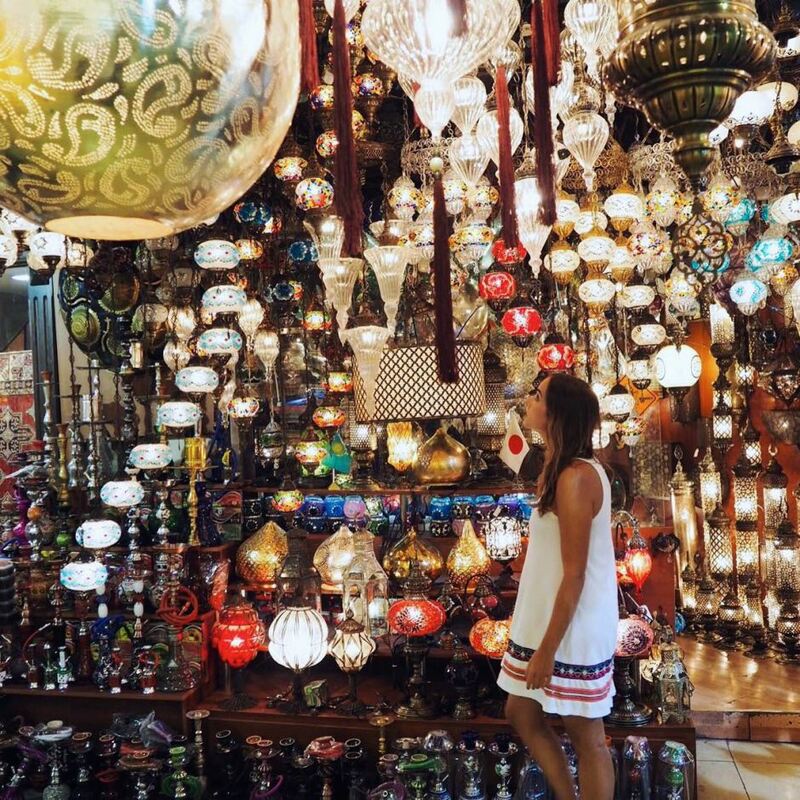 You can follow Laura’s adventures on her blog, www.girlxdeparture.com & check out her beautiful Instagram gallery as well (CLICK) as she explores the world!